If you’re spending some time in Christchurch, New Zealand with your loved one, you will want to have some romantic evenings and special moments while you’re there. 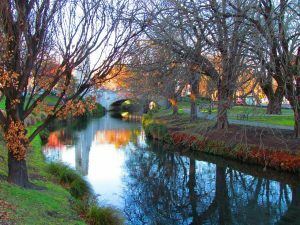 Whether you like going to the movies together, dining in a nice restaurant or something completely different, Christchurch has some very romantic places and things to do. These are just some of our favourites. 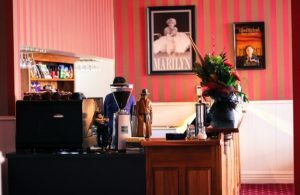 Movie lovers are spoilt for choice in Christchurch. There are three independent cinemas located around the city – Academy Gold Cinema, Hollywood Theatre and Alice in Videoland. Between these three venues, you can be sure to find something to suit the mood of the evening. Both the Academy Gold Cinema and the Hollywood Theatre show a nice mix of both mainstream movies and a few arthouse films. If you’re looking for something a little different, Alice in Videoland is likely to have what you’re after. This is both a cinema and a DVD shop where you can find the best independent films offered by movie-enthusiastic staff. The theatre only seats 38 people which makes it a charming and romantic movie night possibility. You can even bring wine from the bar next door in the theatre, making the experience an affordable and awesome night out. Christchurch is often referred to as the Garden City, and for good reason. Taking a stroll in the park during the evening can be a relaxing and romantic way to end the day. Not only will you avoid the crowds that are in the park during the day, but it’s perfectly safe to walk there at night. Hagley Park is situated in the center of Christchurch and can be seen as the green oasis of the city. 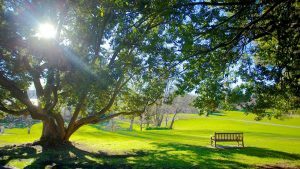 When Christchurch was first developed, Hagley Park was set aside as a recreational space for everyone to enjoy. Over 150 years later, and it’s still a popular location. Victoria Park, however, is situated outside the city center but has the advantage of giving you splendid views over the city, the coast, and even the Southern Alps. It is the perfect location for a late evening picnic. Hagley park may well be a romantic setting for your date evening, but there is nothing more romantic than punting on the Avon on a warm summer evening. Punting is similar to the gondolas in Venice since you’re in a flat-bottomed boat that is poled along by a punter in traditional Edwardian style. Here, you can enjoy the tranquil garden city whilst your loved one, a skilled punter navigates the boat along the river Avon, meandering through the park and city. Punting in the summer is only possible until 6pm but can be a great start to your romantic night out. A romantic alternative for your evening is going to visit a comedy show together. The Court Theatre is a scriptless comedy event where improvisers will turn the ideas of the audience into something hilarious. This interactive comedy extravaganza is the perfect mix of theatre and audience interaction. There is also the opportunity to have a pizza dinner before the show or if you’re looking for something a bit more classy for your romantic evening, you can go to the nearby Lincoln Road. Over there you’ll find a wide range of bars and restaurants to spend some time before or afterward. With Christchurch being located near the coast, there are ample opportunities for romantic evenings at the beach. Why not head down to New Brighton Beach and enjoy a romantic sunset while walking on the soft white sand? 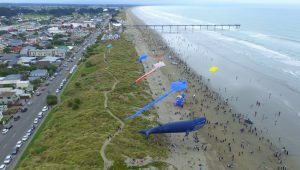 The beach stretches for over 18 kilometers from the Waimakariri River. Afterwards, you can get yourself some ice-cream or have a nice dinner in one of the rustic beach cafés. Salt on the Pier is a waterfront restaurant offering romantic dining experiences. It is located on the pier and provides great views of the South Pacific. They also have an excellent wine bar showcasing some of the best drops from around New Zealand. If you are both into art, attending an art exhibition might be a romantic way to spend the evening. 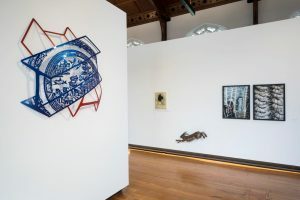 Chambers 241, The National and the Jonathan Smart Gallery have opening nights every week on Tuesdays, showcasing a range of beautiful local works. On Friday nights, the City Art Depot and Form Gallery are open to the public, where you will find art made from a range of different mediums. Enjoying the exquisite art while tasting the complimentary wine and cheese can be a great way of spending your romantic evening in Christchurch. During the day, be sure to check out the Christchurch Art Gallery for a wider range of exhibitions. 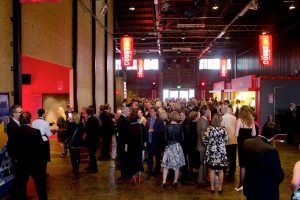 Click here to learn more about the exhibitions and gems that you will find at the Christchurch Art Gallery.